Some time back, I’d ordered a bottle of health supplements on Lazada Malaysia. My second purchase on Lazada Malaysia was on 11.11 and it’s this tub of L’Oreal Paris Botanicals FreshCare Safflower Rich Infusion Masque which I’ve been wanting to try ever since they launched it but it’s rarely on discount at the drugstores. Normal price is around RM43.90 at the drugstores I frequent but on Lazada Malaysia, it’s RM33. The tub arrived in a small envelope without bubble wrap or the lid sealed with cellotape so luckily the contents didn’t leak. The scent is so nice and enveloping. Top marks for a scent I’ll never tire of and which is perfect for a hair mask. 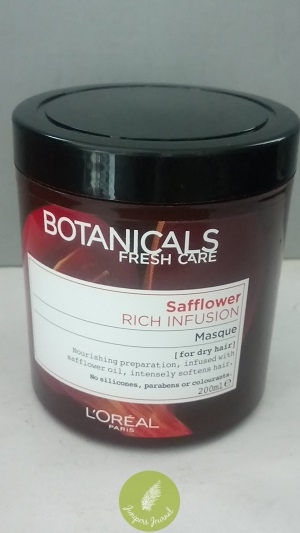 L’Oreal Paris Botanicals Safflower Rich Infusion Mask is infused with a concoction of safflower, soya and coconut oils. They are correct in the product description that it “intensely conditions the hair to leave it feeling nourrished, replenished and soft to touch with a fresh soothing aroma”. Very concentrated so I only need a small amount. I left it on for at least half an hour since I don’t have a hair steamer (yet). 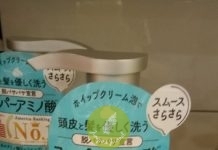 The result is very soft and conditioned hair. 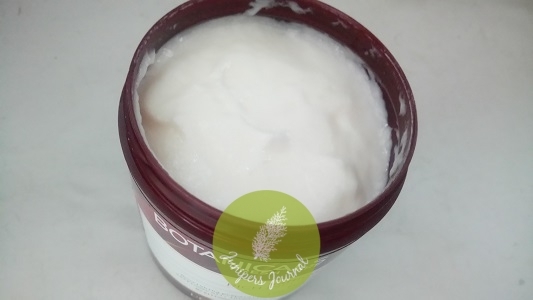 Hair masks are the best, way better than conditioners which haven’t done anything for my dry/damaged hair in the past.